All major shipping companies offer flat rate options, which are great for standardizing the process and helping ease the variability normally associated with shipping costs. WizMe provides nationwide flat rate shipping. You’ll save. 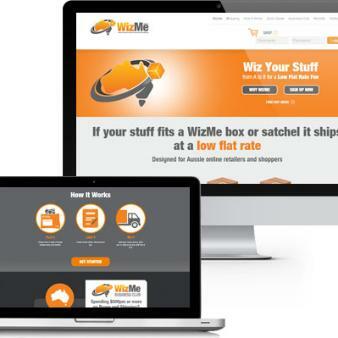 WizMe boxes are larger and courier shipping cheaper than Parcel Post. Why does shipping cost so much in Australia? Why are postage stamps used? Yes, I love to shop online. Because its save time, Do you have the specific list that you want to buy? With just a couple of clicks of the mouse, you can purchase your shopping orders and instantly move to other important things, which can save time. Definetly, I like Online Shopping.. Yes, I like shopping online, because more often than not, I get access to products I can't find locally at a price that is very hard to beat. It is also convenient and the delivery of goods is very smooth the vast majority of the time. Yes, Online shopping is safe. Shopping online can save time when physically shopping. What are the best expedited shipping services?